It is no secret that Thailand is home to some of the best cuisine and chefs in the world. With an abundance of different tastes and varieties of dishes, we can’t blame you if you’re tastebuds will be in overdrive. Bangkok is not only the capital of the country; it is also the capital of the cuisine here too. With Michelin star restaurants, dozens of quality food courts, hundreds of authentic street food vendors and as many food markets, Bangkok can be seen as the Disneyland of food in Thailand. If you’re looking for quick, easy, light and convenient, anything that can be complimented with noodles or in Thailand, Pad Thai, is your best bet. You can eat them as you walk, on the street with a beer or even in a proper, sit-down restaurant. We’ve taken a look at some places for you to try, areas and specific restaurants, whatever the budget, around the whole of Bangkok. Seeing as though most travellers either stay or wander through the famous backpacker street, we thought we’d start with here. 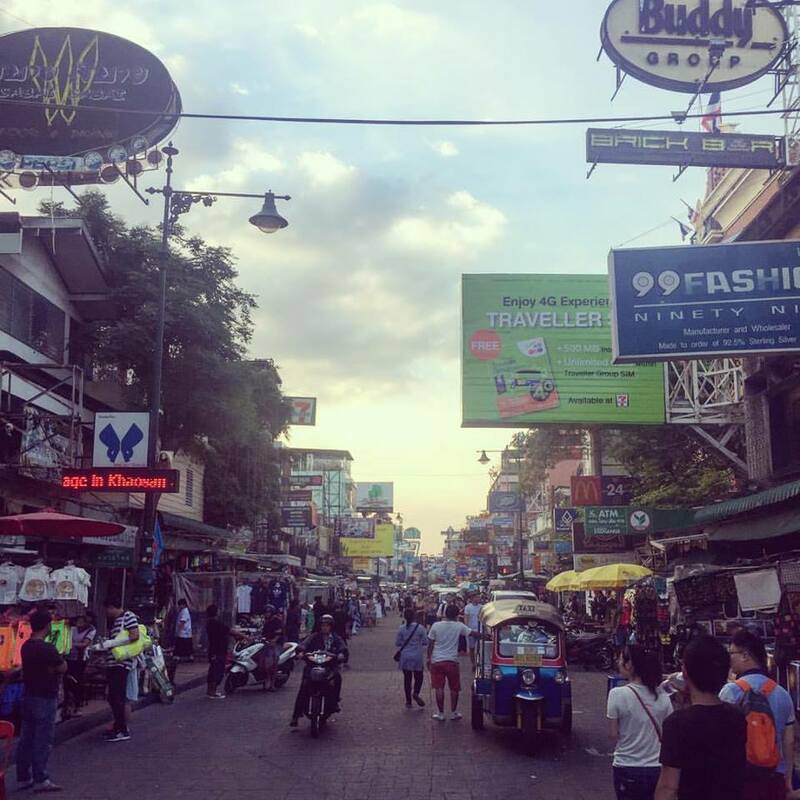 Despite being a major tourist spot, many would agree both locals and expats that the food in and around Khao San Road & Rambuttri Street both next to each other, provide really good options for Thai Food and especially noodle orientated dishes. There will be a dozen food stalls down Khao San that don’t have a specific company name, but if you head to Rambuttri, Magic Restaurant is a popular, street food priced restaurant that has some great noodle dishes. Bangkok’s Chinatown is a fantastic and chaotic smoky spot for foodies. With an array of vendors, restaurants and cafes, it truly is one of Bangkok’s best eating hubs. If you want noodles or Pad Thai, local vendors such as Odean Crab Noodle or Jay Ben Noodle are affordable and tasty. If you want something a little more upmarket, HuaSeng Hong Restaurant attracts many visitors. Note: Whilst you’re in Chinatown, there are many places that sell Shark Fin soup. There are no medicinal purposes, the taste is (apparently) very bland and the practice of shark finning it is detrimental to the survival of our marine eco system. Please resist or do not participate in eating shark fin soup. If you ask anyone where the best place for Pad Thai or noodles is in Bangkok, they’ll say Old City, Thip Samai. 50 years old and #1 in Bangkok for this kind of dish, there will be no shortage of a queue here. Specially made over a authentic charcoal fire, you’ll be in for a treat for quality Pad Thai. If you’re hungry in the morning or lunchtime, bad luck, Thip Samai opens around 5pm, whilst prices can range from 60baht upwards, depending what contents you want. 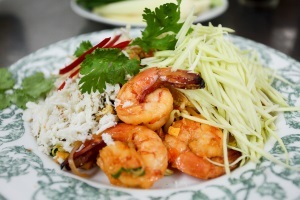 Located on the busy Rama IV road opposite Klong Toey Market, Pad Thai Mae Am specialises in two healthy yet deviously delicious dishes that are undoubtedly some of the best in Bangkok. Open from 12pm until late, many locals come here, which is a sign of how good the place is. 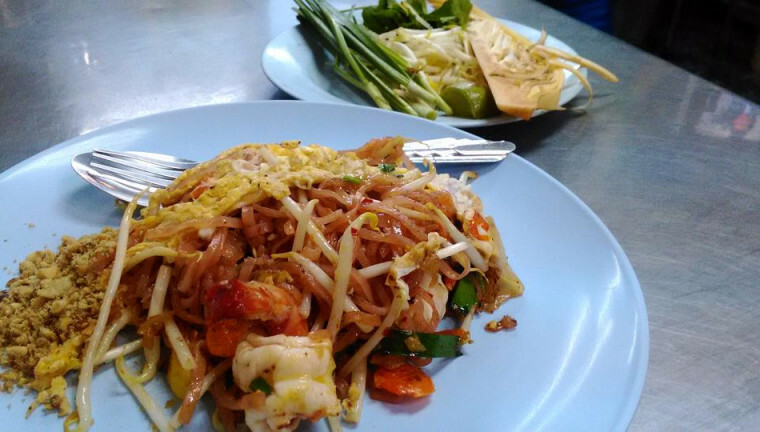 You might have to wait, and prices can be from 150baht upwards, but with delicate tasty egg pad Thai with variations of shellfish and chicken available, it’s easily one of the best places to eat for Pad Thai.